Marmalade is different from jam. 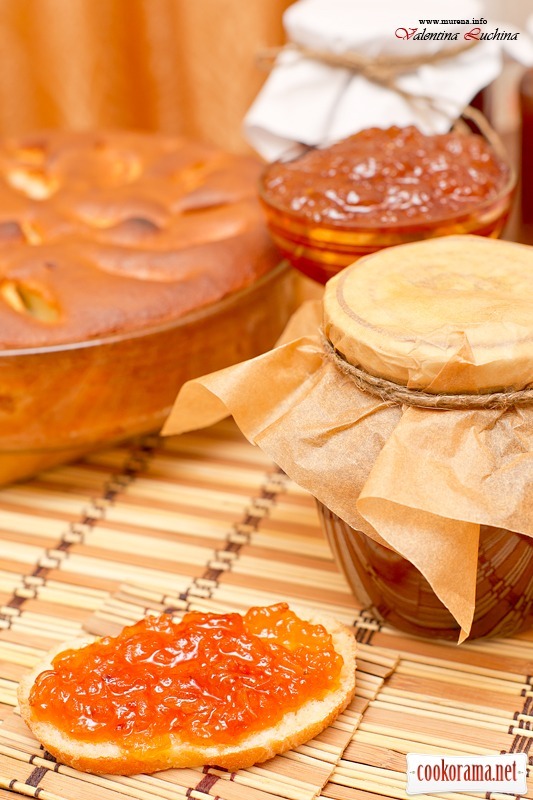 Marmalade is a jelly-like mass containing cooked in syrup whole berries, fruits or pieces of fruits. The integrity of fruits and berries may not be saved during marmalade cooking. Unlike jam, syrup in the marmalade is not separated from the fruits, and fruits are soft in it. I give such proportions so then it would be easier to count the proportion with a larger number of apples. 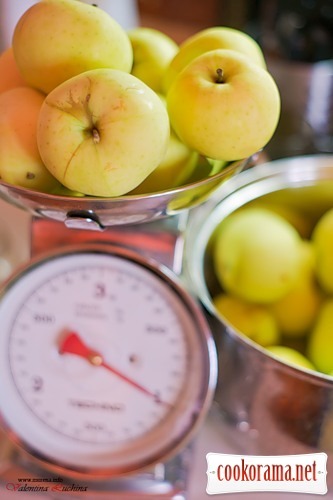 Apples for this jam should be taken not overripe, but better a little unripe, they will be better gelled. Make syrup from sugar and water and cook over medium heat. Do not forget to stir in order not burnt. 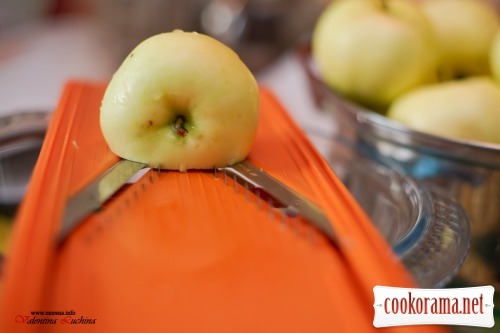 If the skin of apples in rough, then peel them, and if not — rub with peel. Syrup, meanwhile, boils. 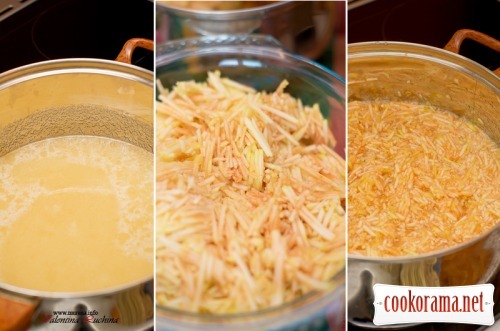 Dip grated apples in it. Put on medium heat and cook for about an hour, stirring from time to time. In the original recipe said: cook for about an hour. Not on high heat. You'll know at once when marmalade is ready — it will become thick, almost without liquid. 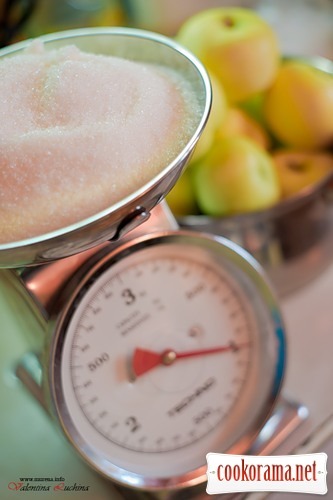 From this amount of product a little more than a liter of jam is obtained. While cooking you can add lemon zest to taste, cinnamon, etc. What you like. I added lemon concentrate to make it not so sweet. 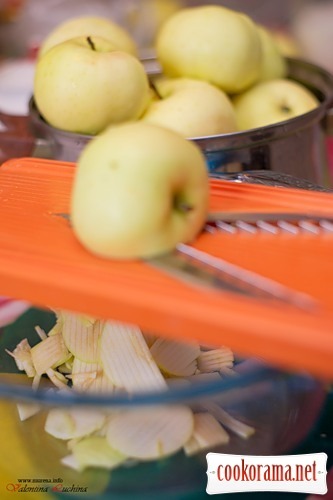 Top of recipe "Apple marmalade"